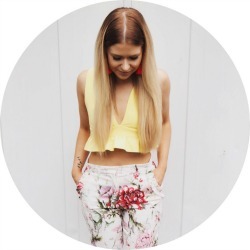 Since I started this wee blog back in 2013, I’ve had some pretty nice opportunities and collaborations – makeup and clothes from some of my favourite brands have plopped through the letterbox over the years, and I’ve always been giddily grateful. But nothing quite got me in the feels and throwing my hands up at how #blessed I am than when I was contacted by the big dog: McDonalds. Ah, creator of my beloved McNuggets and the saviour of many a hungover morning. Of course I said yes when I was invited along to one of my local branches to find out what’s new for the brand (AND WEAR A HAT AND APRON). I mean, who wouldn’t? 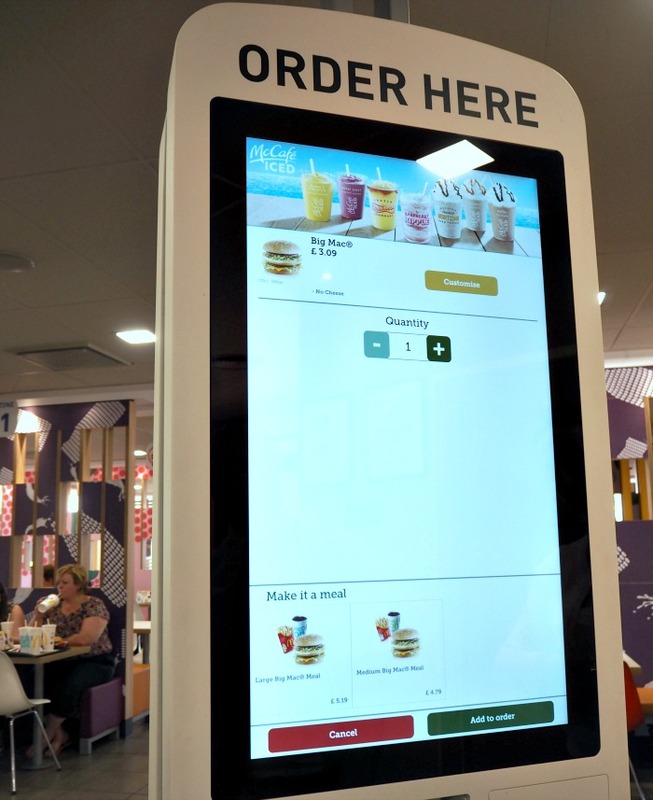 If you’ve been inside a McDonald’s recently, you’ll probably have noticed some of the really obvious changes they’ve made. Aesthetically, there’s been a big shift from the cartoon-ish red and yellow decor that haunts all of my childhood party memories, to designs much more akin to what you’d see in any other restaurant. More muted tones and sophisticated interior details make it somewhere much more inviting to sit and socialise in (while stuffing your face, obvi). And then the pièce de résistance – table service. Yep, you read that right: Table. Service. If you haven’t experienced this, then it’s really somethin’. 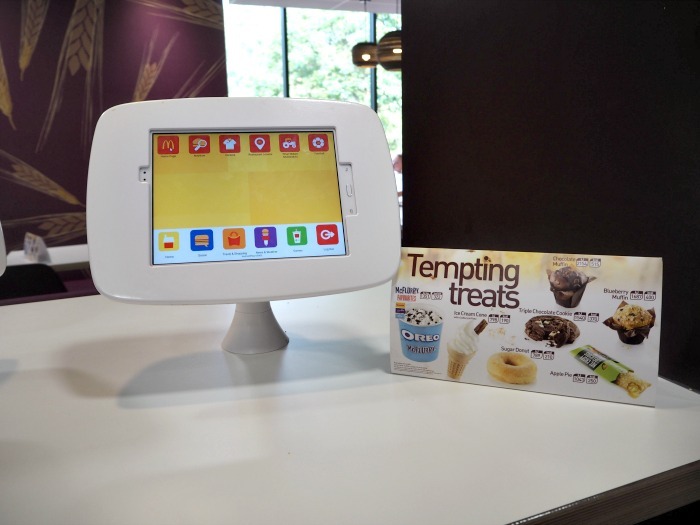 When placing your order from the kiosk, you can choose a Zone to sit in and then once your food is ready it’s brought over to your table. Yes, this might be the norm in other restaurants, but in McDonald’s? I felt like Obama. One behind-the-scenes change that I wasn’t aware of is that all food is now made to order. This means no more ready-and-waiting burgers and fries in boxes that could have been sitting on the rack for 15 minutes before you order. Now, the burgers are only prepared once you’ve ordered it, making for a much fresher experience. This was the part that we got to see for ourselves as we were let loose in the kitchen to make our own Big Macs! I say let loose – we had to follow all heath and safety processes and I even had to don a bloody hairnet, but still. 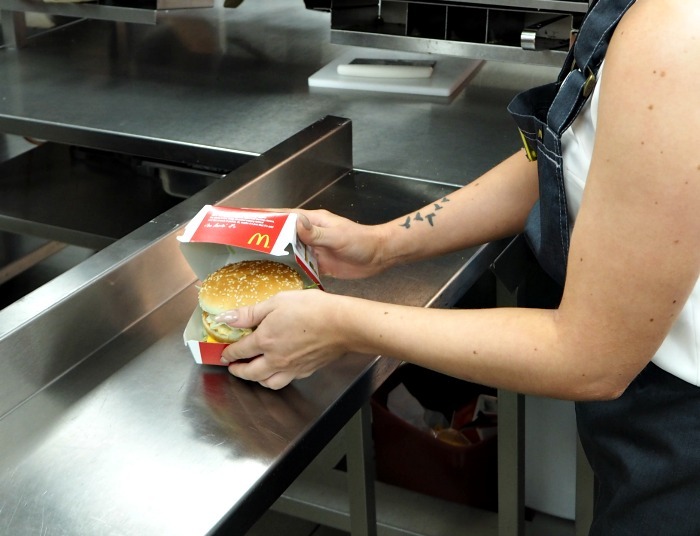 The restaurant manager showed us the process for preparing a Big Mac in 45 seconds, and then the fellow bloggers and myself got to have a go. Overall I had a great time at the event with fellow bloggers Jemini and Nikki. We were hosted by the lovely franchisee of the restaurant and her team, who all gave us so much interesting info on the brand, the history and their plans for the future. 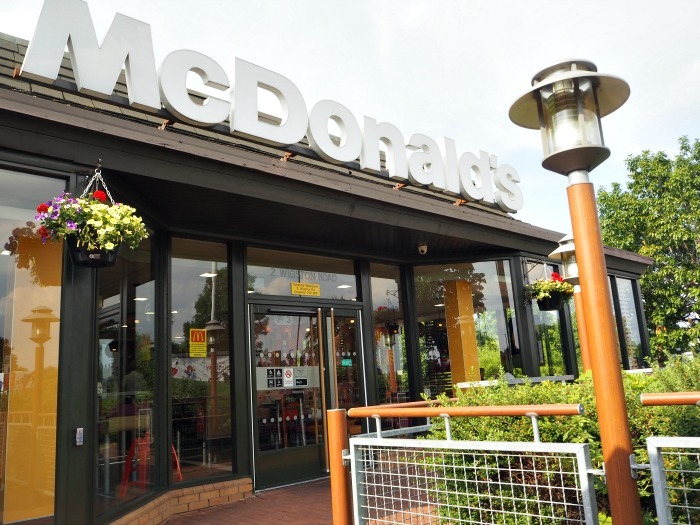 I was already a big fan of the golden arches, but the move towards a more sophisticated dining vibe and the healthier choices on the menu have definitely made McDonald’s go up in my estimations even more. If you would like more information yourself on what the brand is up to, as well as their core values, you can get that here. 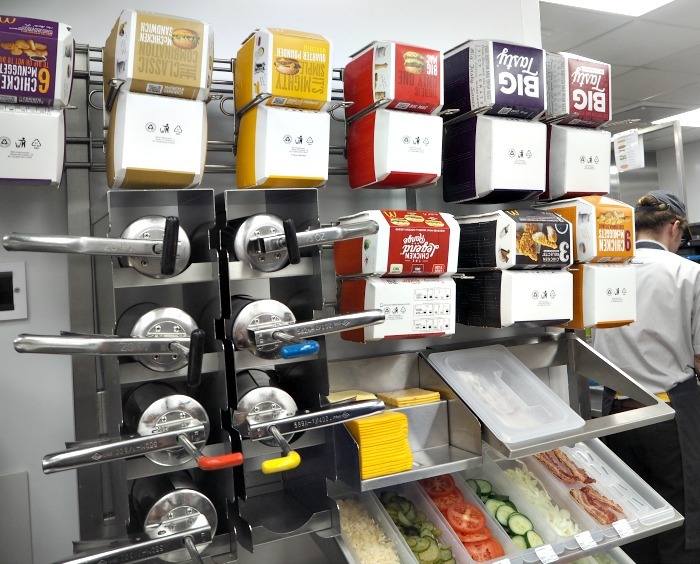 Have any of you noticed these changes at your local McDonald’s? 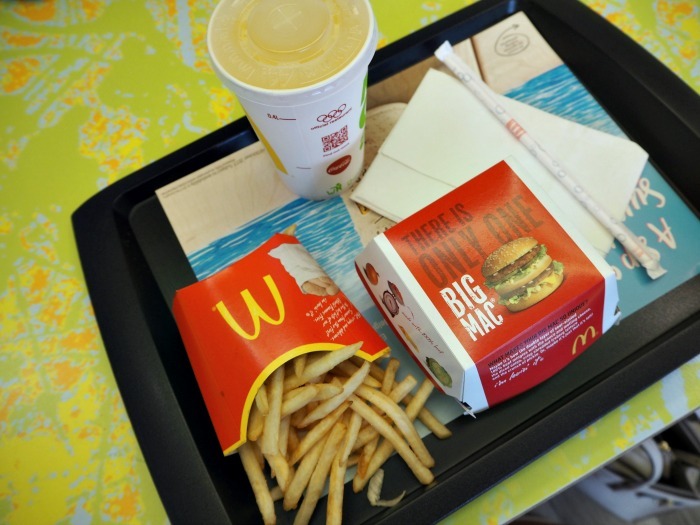 Let me know what you think of #YourNewMcDonalds in the comments! This post was sponsored, but all views (especially on McNuggets) are my own. I already wanted a McDonalds but this has just twisted my arm. Time for McNuggets and a milkshake!